This piece was originally published in the Times of Israel on 26 January 2017. We remember. We must remember. The single greatest weapon against those who deny the Holocaust has long been testimony from those who witnessed it. Yet even that has not been enough; far too many people around the world still question or reject the fact that six million Jews were murdered at the hands of the Nazis, and the systematic attempt to wipe out the Jewish people. As the years pass and the survivors among us pass from the scene, it is critical that we stand together en masse, across the globe, to declare that we remember these atrocities, as though we had lived through it ourselves. This is essential not just for Jews, but for people of all faiths and colors: Blacks and Whites, Catholics and Protestants, Shiites and Sunnis, Pagans and atheists. We must remember because it could happen to any of us. We must remember because anti-Semitism, bigotry and racism continue to rear their ugly heads all around the world. We must remember because we know how seductive malevolence can be, how quickly hatred can morph into violence, and how effortlessly apathy and indifference can take hold in the face of even the most nightmarish realities. We must remember because the words “never again” have become meaningless, as horror after horror occur around the world. We must remember because we owe it to the victims of the Holocaust, and of all genocides, to ensure that their death and their suffering will never be forgotten or ignored, and to do everything in our power to stop such atrocities from happening again – anywhere or to any people in the world. 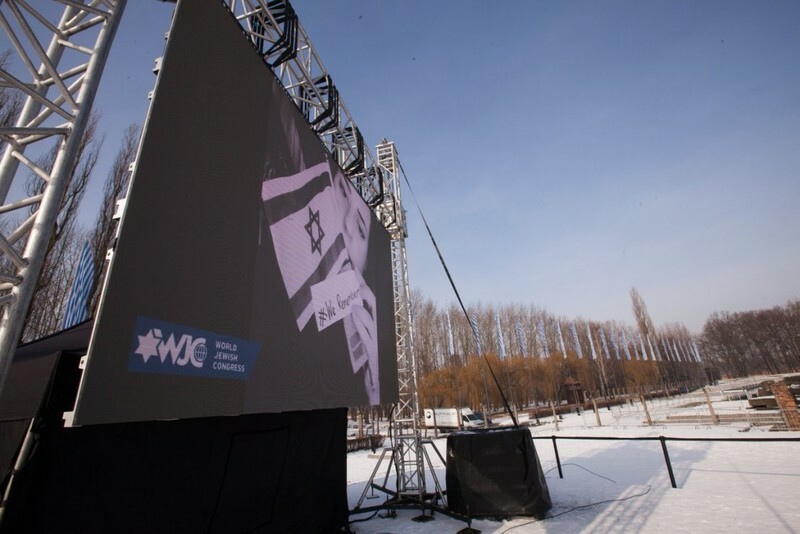 Ahead of International Holocaust Remembrance Day, the World Jewish Congress launched an unprecedented global campaign aimed at reaching millions of people, in honor of each and every victim. 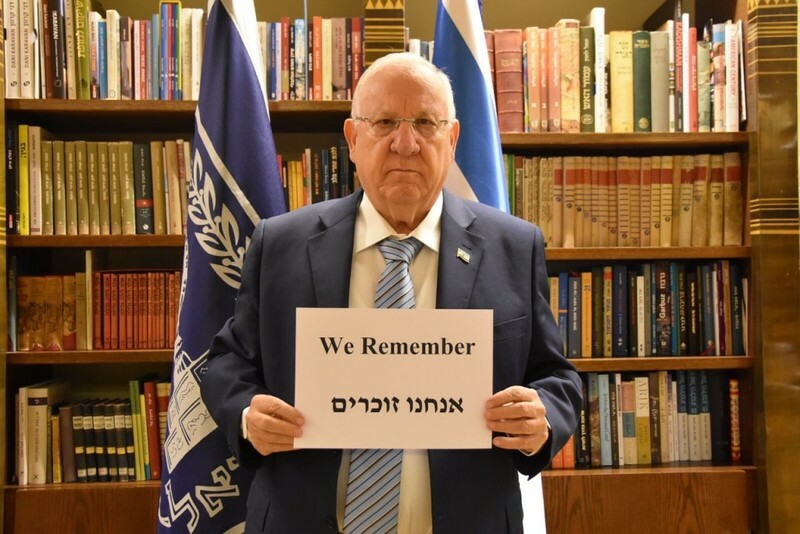 Our request was simple: Photograph yourself holding a sign bearing the words “We Remember” or “I remember,” and post the image on social media with the hashtag, #WeRemember. What began as modest wish has surpassed all our expectations, and turned into one of the most widely shared global Holocaust commemoration on social media to date. We have seen decent people around the world share the same message. The response to our campaign, launched just two weeks ago, has been overwhelming. We have reached more than 120 million people so far, and more than 250,000 have participated in the campaign itself: people of all faiths and color, from six continents, and in dozens of languages: a schoolteacher in Rwanda educating his students about the Holocaust, an Imam from France, the President of the Central Council of Muslims in Germany, Aiman Mazyek, and a Christian supporter of Israel from Fiji; Belgian Prime Minister Charles Michel, Belgian Foreign Minister Didier Reynders, and Belgian Interior Minister Jan Jambon; German Vice-Chancellor Sigmar Gabriel and German Justice Minister Heiko Maas; Austrian Chancellor Christian Kern and Austrian Foreign Minister Sebastian Kurz; Albanian Foreign Minister Ditmir Bushati; Israeli leaders including President Reuven Rivlin and Prime Minister Benjamin Netanyahu, Defense Minister Avigdor Lieberman, MKs Yair Lapid and Isaac Herzog; ambassadors to Israel around the world and permanent representatives from many United Nations missions; US Senator Chuck Schumer, and Congressmen Jerrold Nadler and Eliot Engel; Dr. Ruth Westheimer and Bernard-Henri Lévy; average citizens of all religions and backgrounds from Albania, Morocco, Ghana, Uruguay, Latvia, Chile, Kazakhstan, the United States, Canada, and more. Day after day, hour after hour, our Twitter, Instagram and Facebook feeds have buzzed with notifications of people posting their photos, along with the hashtag, and a personalized touch: A young man with his aging Holocaust survivor grandmother from Brazil; a group of Catholic students from Spain; a man whose grandfather was a POW in World War II, and whose life has been affected by that trauma; a Muslim group in Albania honoring those who lost their lives protecting their Jewish neighbors. We all remember. Using the power of social media, this diverse and massive group of strangers around the globe has united and reached more than 120 million people with a single message. We have stood together and declared that we refuse to live in a world of hatred, that we refuse to let our future be defined by the horrors of our past. The Auschwitz Museum in Poland projected these photos on the site of the death camp through January 26, the eve of Holocaust Remembrance Day, sharing the “We Remember” message with the world on live stream, and showing the reactions of visitors on the most notorious killing ground in the world as they witness this beautiful act of solidarity. More than 200,000 people viewed this screening on social media in the first four hours of its projection. How quick and easy it is to communicate and ”share” information in this digital world of today. What a critical tool social media and the internet have become for human interaction. It is the language of the future, the language of the next generation of world leaders. It is also home to a great repository of material denying the Holocaust and inciting to terror. We must ensure that the unified message of millions of decent people, from ordinary citizens to high-level politicians, speaks louder than those spewing hatred. There is no immunity from persecution and suffering in a world filled with hatred. And there is no guarantee that another genocide, against Jews or against any other oppressed people, won’t happen again. It is no longer enough to say, “never again.” We must say “we remember.” We remember the victims, we remember the horrors, and we remember that we cannot stand idly by when we see sparks of hatred flicker. 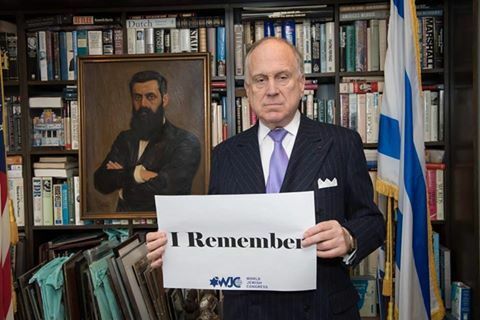 On International Holocaust Remembrance Day just two years ago, WJC President Ronald S. Lauder stood in Auschwitz before thousands of people, including representatives of forty countries and 100 survivors of the death camp themselves, and implored the world to “make hate a crime… Unless this is checked right now, it will be too late. We still have a chance to stop this.” This is a message that we must never forget. This is a message we must always remember. The World Jewish Congress is humbled by the hundreds of thousands of people who chose to voice their opposition to complacency and to honor the victims of the Holocaust. We are grateful to have so many partners in our everlasting quest to ensure that basic human decency defeat unthinkable acts of hatred. We will always remember the Holocaust and the millions of people murdered at the hands of the Nazis. We will always remember to speak out when we see any sign of its return, everywhere in the world. The #WeRemember project has shown us that so many people in the world share in this message, and the power of social media in keeping the memory alive. But the campaign is just beginning. Please, continue to remember. Please, don’t forget.